• There are 128 rooms and 35 luxurious rooms and suites. 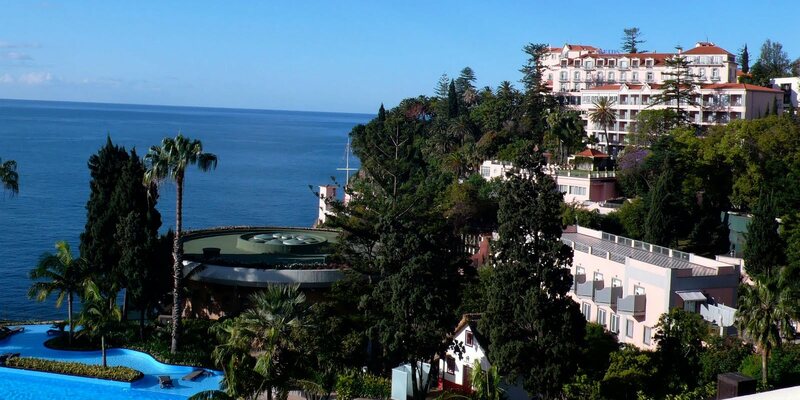 • Meetings & events rooms, a children’s programs, a fitness center, a golf park, a spa, a swimming pool and the tennis resort..
• Reid’s Palace is located on an the Funchal’s island, in the heart of 10 ha of a large garden. There is a beautiful panoramic view of Atlantic sea with an immediate access. • 1891 November: Opening of the Palace as New Hotel. The hotel was designed by the architects George Somers Clarke and John Thomas Micklethwaite.